For up to three people, a carriage drive along the dramatic coastline of the Vale of Glamorgan around the heritage coast, village pubs, river estuary and finally arriving at the historic setting of Ogmore Castle where you can either walk around the castle or take in light refreshments and a drink at either The Pelican pub or Ogmore Tea Rooms. 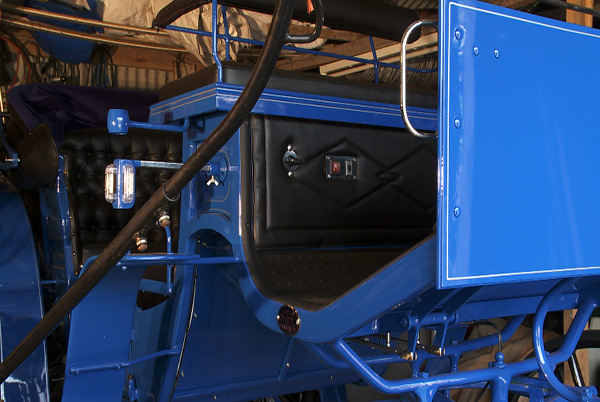 You will be taught the safety aspects of carriage driving before you get on the carriage. You may have an opportunity to drive the horse on the way for a short distance. Price £150.00 (excluding lunch). Gift vouchers are available for any of the above. 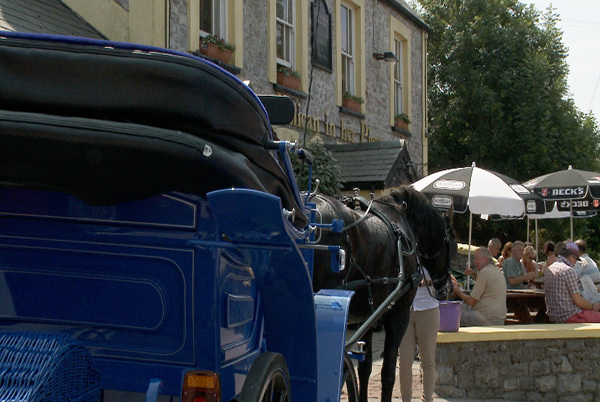 A Carriage Ride Gift Voucher provides an unusual present for a special occasion or to say thank you. This is definitely one present that can't be put in the cupboard! Payment is due in full when ordering the Gift Voucher. With the exception of Gift Vouchers, a 25% non-returnable deposit is required at the time of booking. The balance is required one week before the activity date. 100% payment in cash or cleared cheque is required for bookings made within one week of the activity date or cash on the day for last minute bookings. 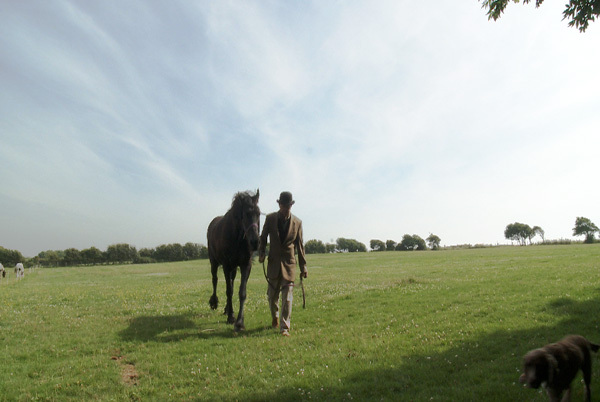 Vale Carriages is owned and operated by Chris Davies and Julie David-Davies, hereafter called the “Operator”. The person making the booking or taking part in the carriage drive or training is hereafter called the “Client”. The details listed under Health and Safety and What to Wear are deemed to be part of the Terms and Conditions. Although the horses are generally well behaved, horses can be unpredictable and even potentially dangerous if they feel threatened or frightened so it is the Clients’ responsibility to be aware of this fact and to inform anyone who comes into contact with the horses of this fact. Clients and passengers ride on the carriage and are around the horses at their own risk. The Operator cannot be held liable for the bodily injury or property damage or death except where required to do so under the law. No children can approach the horse(s) without the supervision. Children under the ages of fourteen years must be accompanied by a responsible adult when they are on or near the carriage. If the client cancels the booking after the final payment has been paid, the Operator will rearrange a further date(s), where available and possible, providing the cancellation is more than one week before the booked date.The alternative date is subject to an additional fee of 25% of the full fee (excluding Operator’s travel expenses). If the client cancels after the deposit has been paid, the deposit is forfeited. If the deposit is paid, but the balance of the full amount is not paid more than one week before the date booked, the date will be cancelled. A further date can be arranged within two months, otherwise the deposit is forfeited. If the client cancels after the full payment has been made and an alternative date cannot be agreed, and the drive is not delivered within one year, the full fee will be forfeited.There is no return of the fee paid for cancellations within one week . The health and safety of the people on the carriage; other road users and of course, the horses, are our prime concern. Even the most experienced, calm horses can become upset by anything that frightens them, such as sudden loud noises. Horses can become unpredictable, if they feel threatened. Carriage driving and any activity surrounding horses carries a risk of accident and injury. Our driving horses are very experienced, but no horse is 'bomb proof'. When we drive in the fields and along tracks, they can be bumpy and so may not be suitable for people with a bad back. If you suffer from any health issues, please advise the groom when making the booking. Please telephone us on 01656 880808 to discuss any issue which you think could affect your ability to carriage drive or affect your enjoyment of the outing. 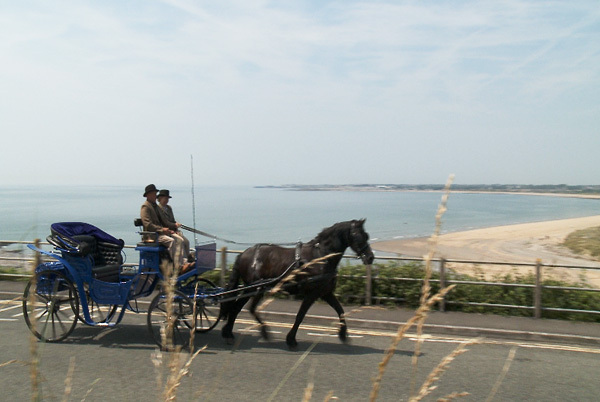 To take part in carriage driving , people need to be reasonably agile to be able to climb onto and off the carriage. There are to be no sudden movements or loud noises, fireworks, shouting, party poppers, car horns, flash photography or dogs, for example, in the vicinity of the horses. No children can approach the horse(s) without the supervision of a member of Vale Carriages . 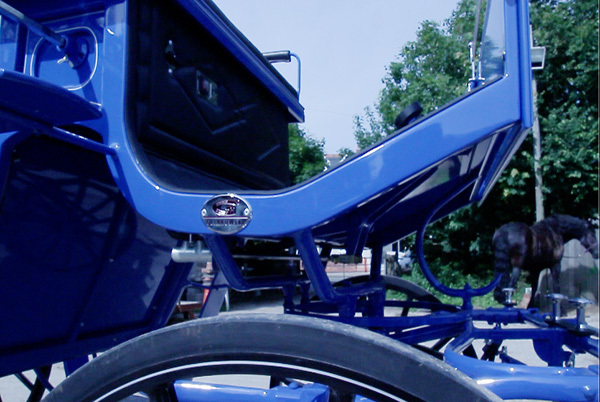 Children under the ages of fourteen years must be accompanied by a responsible adult when they are on or near to the carriage or learning to carriage drive. Outer clothing: Like most outdoor activities, it is best to bring along waterproof clothing and warm clothes. We can usually store them on the carriage, if you don't want to wear them. Footwear: Stout shoes or trainers (flat shoes with a good grip) provide suitable footwear.